What life in the South is really like. The last post talked about old things being cool again. They are. A while back, a picture of this truck accompanied an entry on being out of place. Today we talk about patina. 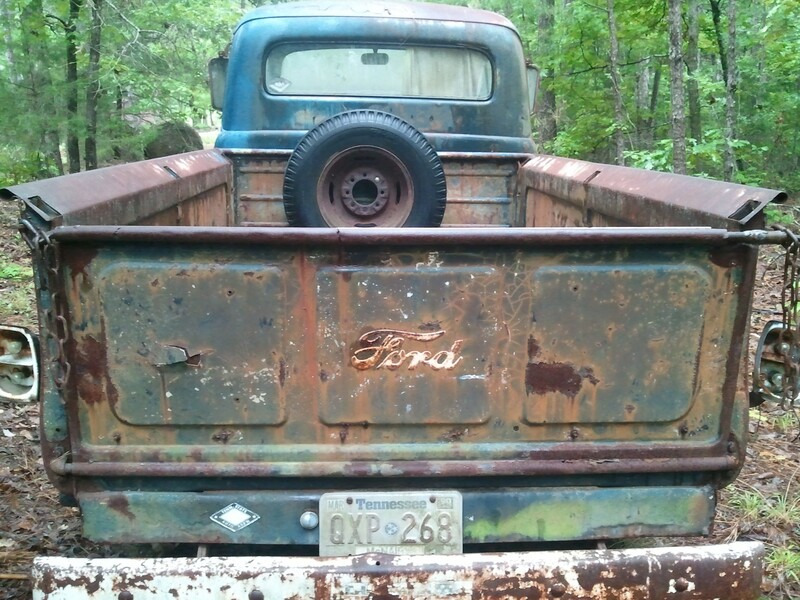 In my opinion, the patina on this old Ford is both beautiful and tragic. Beautiful in an old timey, remember your past sort of way, but tragic in the fact that it was left to rot. That such a beautiful old truck could be left to its own devices. Don’t worry, I’m not just writing about a truck. Because you and I both have a patina, too. We have bumps and scrapes, dents and ding, even a few rust spots. Yet, we keep can keep going. We can still be useful and serve a purpose, even with our problems. You see, I know more about this old truck than you probably do (unless you’re family reading this). It’s a 1951 Ford F-2, and it’s nearly complete. The engine is there, all the interior parts are in tact. If you look closely, you can even see there are still bulbs in the tail-lights. The point is, everything that made it work is still there. It needs some work, but it’s there. You and I are the same way. We may have problems. We may have even broken down, but our parts are still there. The things that we need to keep moving forward are still in place, we just need to do some restoration. It can be hard work to bring a rusty classic back up to showroom quality, but it can be done. If you’re willing to put forth the effort, you can do the implausible. Don’t let anyone tell you that you’re too old, too young, too broken, too hurt, too impossibly optimistic. Because, we can all be restored.